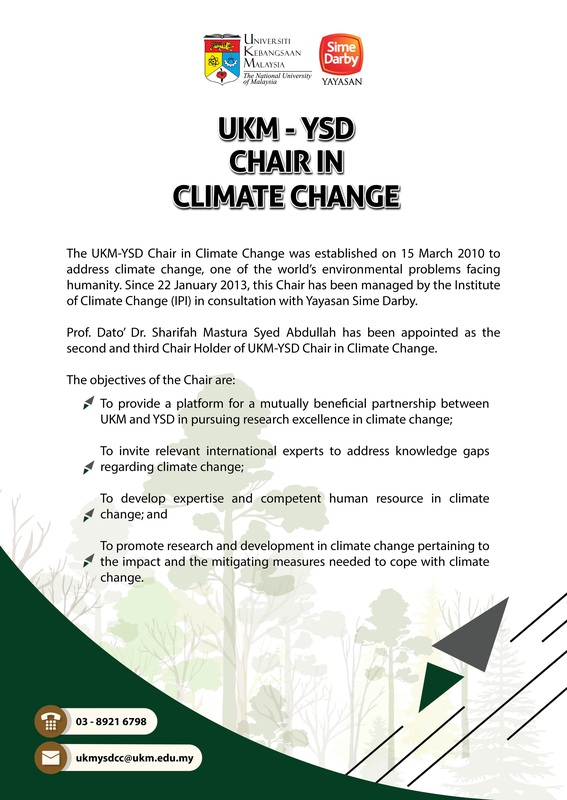 The Terms of Reference (TOR) of the second chair holder are as follows: To initiate in the preparation of research proposals on climate change to be funded by the interest generated by the endowment provided by YSD, and to ensure the completion of the research projects chosen; To expand and campaign for more researchers and students to participate in climate change research and activities; To share and provide expertise in climate change related areas. 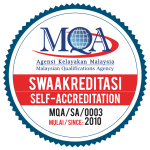 This may involve assisting UKM researchers in preparing and consolidating research proposals for funding at the national level, conducting research, and participating in the publication of research findings in ISI indexed journals; inviting several expert personalities to deliver lectures on subjects related to climate change at the graduate and undergraduate levels; and delivering public lectures on subjects related to climate change. The second holder of the UKM-YSD Chair for Climate Change is to represent UKM and YSD in related conferences; to lead in the writing and publication of scholarly articles in journals of high impact in the field of climate change; to contribute knowledge and input for analysis of future policies as well as current policies on climate change; and to disseminate climate change information to the public through the local media.